11 June 2018: Modality Systems, the world’s largest award-winning Microsoft communications practice, has today launched Diagnostics, a purpose-built solution designed to provide continuous Microsoft collaboration service improvements for your business. Diagnostics proactively tests and measures the performance of your Microsoft communications and collaboration environment, delivering trend data and actionable insights to inform decision making, helping enterprises drive continuous service improvement and achieve the highest quality user experience. 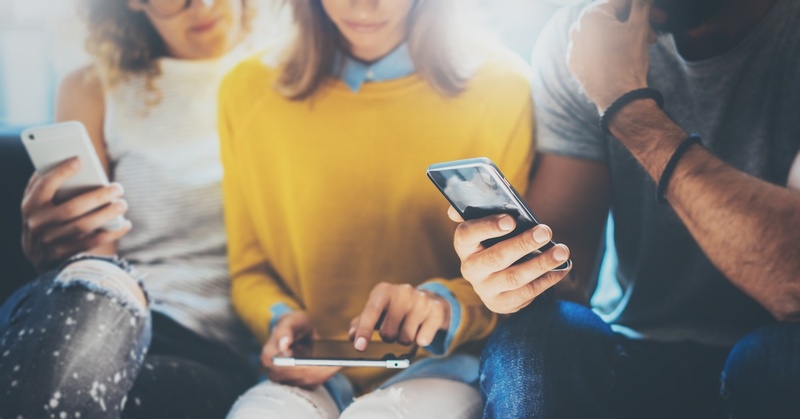 By looking at both performance and usage trends, Diagnostics gives organisations the tools and processes they need to optimise their Skype for Business and Microsoft Teams performance. Diagnostics goes far beyond basic alerts; it delivers actionable intelligence to optimise the user experience. The Microsoft PowerBI Reports, unique and proprietary Modality Stream Score and continuous testing of real Skype calls by Virtual Static Users (VSU) provides a complete and accurate picture of the health, utilisation and performance of your Microsoft communications and collaboration environment. The Microsoft PowerBI analytics engine delivers flexible, role-based reporting that enables organisations to stay at the top level or drilldown to gain deep insights into network routing or contention issues, identify under-utilised services and the probable causes of poor user experience, and more. 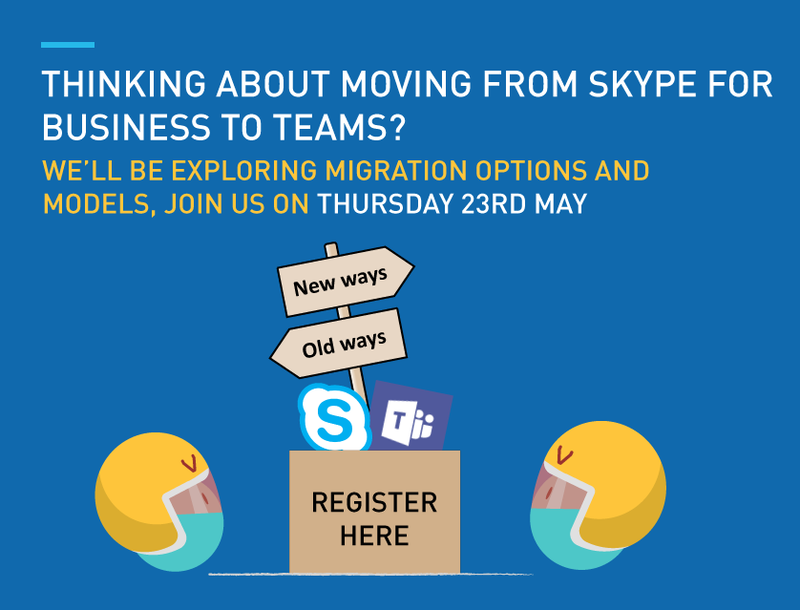 Armed with these insights and the support of Modality Systems Collaboration Intelligence team, organisations can optimise user experience, accelerate adoption and maximise returns on their Skype for Business and Microsoft Teams investments. Modality Systems Diagnostics delivers levels of simplicity, sophistication and deep insights unmatched by non-specialist tools: - Understand the performance of your Microsoft communications and collaboration environment - Identify trends and generate detailed, actionable insights to drive decision making - Reduce the human and financial costs of chasing problems across networks, devices and clients - Manage performance proactively to maintain a high-quality user experience - Encourage Skype for Business and Microsoft Teams usage and enterprise-wide adoption. “For maximum value, Modality Systems Collaboration Intelligence experts can proactively interrogate, and help you interpret the data, delivering clear and actionable insights into the performance of your environment. This is ideal for organisations with limited resources or skills, or for those wishing to outsource the function.” Concludes Seagrave. 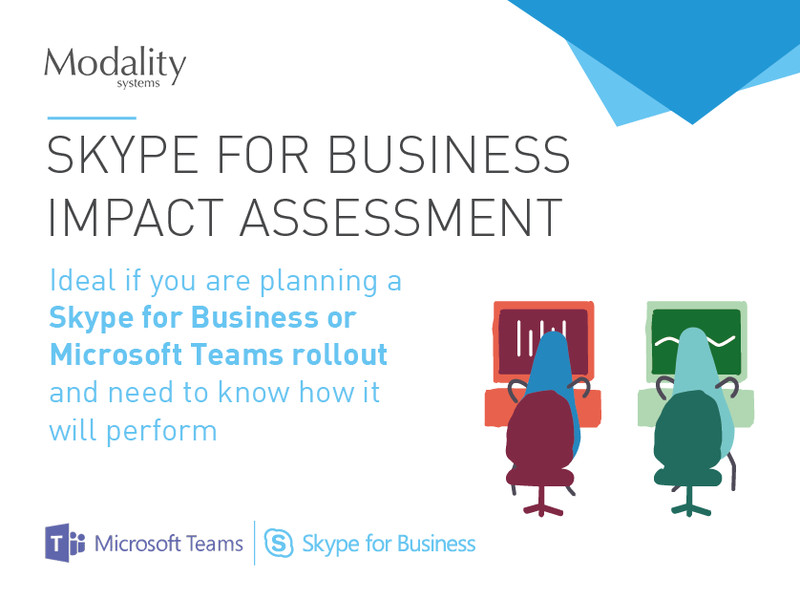 Networks, applications and devices can all adversely impact the performance of Skype for Business and Microsoft Teams collaboration tools, which in turn impact on user experience and service utilisation. Diagnostics reports on the multiple dependencies and complex issues that can threaten user experience and widescale user adoption, delivering trend data and insights to proactively manage performance, resolve problems and continuously improve service.